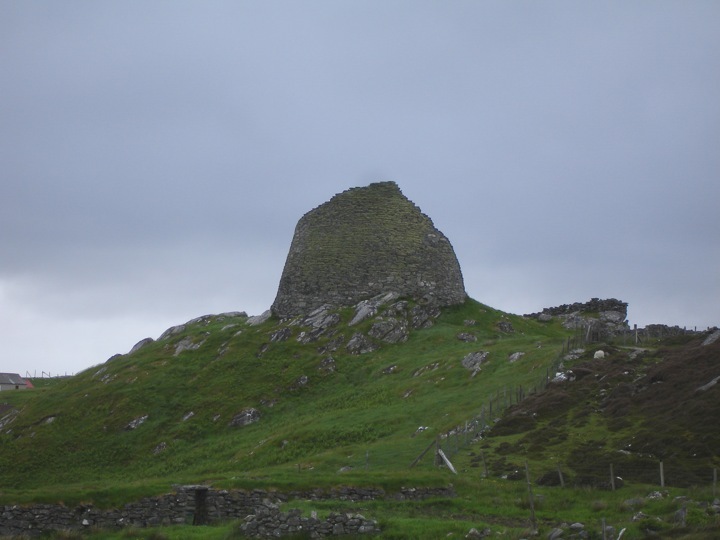 Dun Carloway is one of the best preserved brochs in the Western Isles, with one side of it still reaching a height of nearly 10m. Inside the 4m thick walls there are still inter-mural passageways and the remains of a staircase which can be climbed. The broch stands on a small hillock high above Loch an Dùin and commands great views over the landscape below. It dates from the 1st century BC. Dun Carloway is in the parish of Uig and the county of Ross and Cromarty. Published on the 14th of May 2010 at 4:19 pm. Updated on the 30th of March 2019 at 12:21 pm.